The year is 1714. Daniel Waterhouse has returned to England, where he joins forces with his friend Isaac Newton to hunt down a shadowy group attempting to blow up Natural Philosophers with 'Infernal Devices' - time bombs. As Daniel and Newton conspire, an increasingly vicious struggle is waged for England's Crown: who will take control when the ailing queen dies? Tories and Whigs clash as one faction jockeys to replace Queen Anne with 'The Pretender' James Stuart, and the other promotes the Hanoverian dynasty of Princess Caroline. Meanwhile, a long-simmering dispute between Newton and Gottfried Wilhelm Leibniz comes to a head, with potentially cataclysmic consequences. 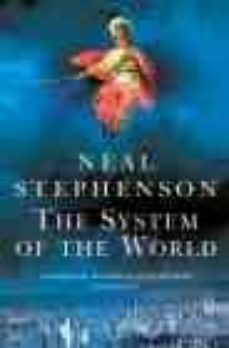 Wildly inventive, brilliantly conceived, The System of the World is the final volume in Neal Stephenson's hugely ambitious and compelling saga. Filled with a remarkable cast of characters in a time of genius, discovery and change, The Baroque Cycle is a magnificent and unique achievement.